For lunch, though, I met up with a couple of ladies at Yat Lok (一樂燒鵝). It is Christmas Eve, after all, and I'm gonna have myself some tasty bird instead of turkey! Needless to say, the response from the staff when we asked for the roast goose drumstick (燒鵝脾) was that they're out - which is just their way of rationing this popular item. 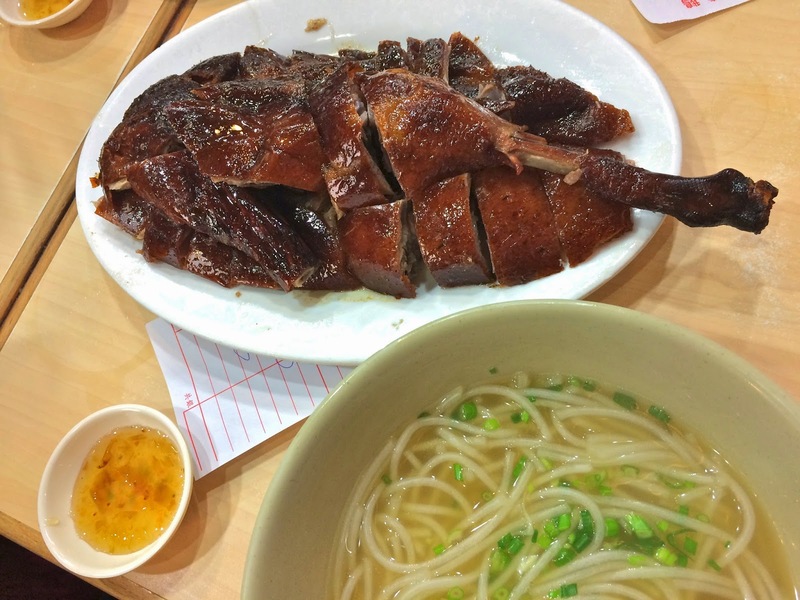 Since there were three of us, the staff suggested that we either take a bottom quarter (下庄) or half a roast goose in order to have yourselves one drumstick... so we took half a goose, and each of us took a bowl of rice flour noodles in soup (瀨粉).